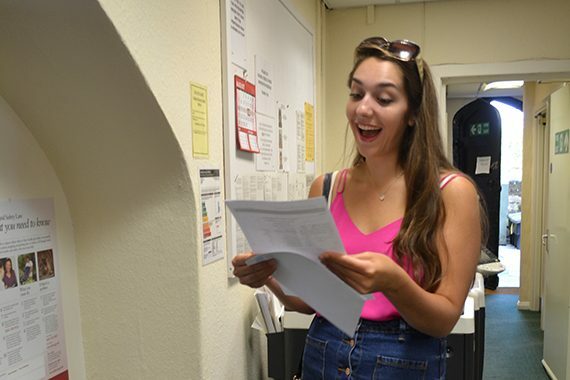 Following this summer’s exams, Chetham’s are celebrating the School’s best set of A-level results since 2001, as well as superb GCSE results – with pass rates rising across all grades. Whilst most GCSE students will continue to Sixth Form at Chetham’s, they will also be in a strong position to progress to mainstream colleges and to future study at leading conservatoires and universities. The Sixth Form students’ hard work in both music and academic subjects will see them moving on from Chetham’s to leading conservatoires and universities, including the Royal College and Royal Academy of Music in London and the Royal Northern College of Music in Manchester, as well as King’s College London, London School of Economics, Imperial College London and the Universities of Bristol, Glasgow and Manchester, to read subjects as diverse as Medicine, Literature, Mathematics, Politics, Law, and History. Well done to all of the students who took exams this summer. Enjoy the rest of the holidays. We look forward to welcoming the GCSE students back soon for another exciting year at Chetham’s. And to those who have now left the School, we wish you the very best of luck in the future.